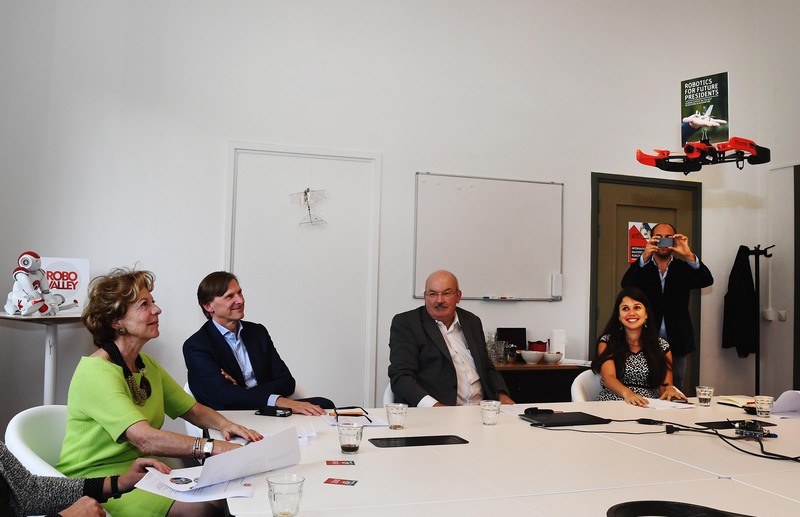 Neelie Kroes, Special Envoy of StartupDelta, visited RoboValley today. She discussed how entrepreneurship is stimulated via various educational programmes. Kroes also received the book ‘Robotics for Future President’ from a drone. During the special round table with experts from RoboValley, the subject of the conversation was how educations can better respond to the growing demand for robotics. MOOC’s, Massive Online Open Courses, were also brought up. TU Delft is the largest supplier of MOOC’s in the Netherlands; StartupDelta sees a growing demand for this form of open education. Read the press release (in Dutch) here.